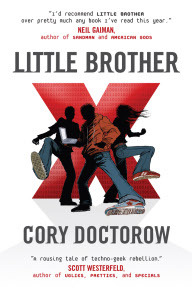 A few weeks ago I read Cory Doctorow’s latest novel entitled Little Brother and was impressed enough with the book to add it to the required reading list for both my classes at Georgetown (Information Warfare and Security and Introduction to Information Privacy). Little Brother introduces us to a group of teenagers who become concerned with their privacy and security in the aftermath of a series of attacks against San Francisco. Operating in an environment where the cure (DHS security measures) seems to be worse than the disease, they chose to act to disrupt the system and hopefully educate the populace that some freedoms just aren’t worth sacrificing. I don’t want to give away too much of the plot, but suffice it to say the story is not only emotionally compelling but has enough action and tension to rival the best thrillers out there. I’ve chosen to make this book required reading for a few different reasons. 1) Through fiction it gives great insight into real technologies such as encryption, RFID tags, data aggregation and pattern analysis, covert communications, etc. These are all technologies we discuss in class and this book will serve as a good introduction to them while demonstrating how they work as elements of the plot. 2) The book is accessible to a younger audience. I teach the MySpace/Facebook generation and finding material that both educates them and appeals to them by actually embracing the highly technological world they live in is a nice benefit. 3) Cory asks all the hard questions for all the right reasons. While some would find it easy to dismiss this book at being overly liberal, the political elements help drive the plot and are essential to the story. In a deeper reading of the material you’ll find genuine debate between characters that care immensely for each other of some very hard issues we are all faced with in today’s homeland security environment. I deliberately try to raise these questions for debate in class so the book gives us a head start here as well. Ultimately Cory’s book has several valuable themes. At its core it about the balance between civil liberties and civil security and how much free citizens are willing to endure to counter an unknown threat. In class we often talk about the pendulum and the balance between freedom and security and this book looks at that same issue on several different levels. On a secondary level it is about the failed promise of homeland security. I was often reminded of Bruce Schneier essays on security theater and how feeling secure if much different than being secure while reading the book. It also exposes many of the fallacies of our technological silver bullets that promise to keep us safe, but when analyzed could never conceivably deliver. Lastly, it is a tale of a technology induced rebellion and taking action when faced with a pendulum that has swung too far. 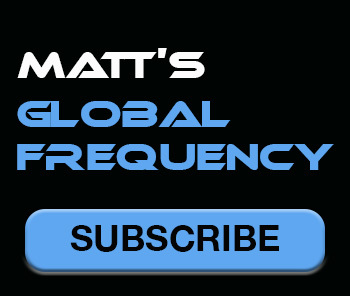 The heroes are able to utilize technology to circumvent and expose the “system”. They aren’t of voting age, yet they inspire profound change through their technologically subversive tactics driven by a sense of patriotic duty, a smattering of revenge, and a love of friends, family, and their hurting city. They can’t vote or march in the streets, but they can create a covert communications network to coordinate their activity, which makes it all the more realistic to me. I’d highly recommend the book to anyone reading this blog and I look forward to reading it again with my classes. The book is available on Amazon and via Doctorow’s own site.